I often catch my husband encouraging my 10-year-old daughter to order off of the adult menu if we go out to eat. I know his intentions are good; he wants her to have more options and to eat what she wants when we do decide to splurge on a meal out, but the whole kids menu vs. adult meal situation irritates me. Not only does it cost more to eat an adult meal, but the portions are usually 2-3 or even 4 times the amount of food that one person should be eating at a meal. 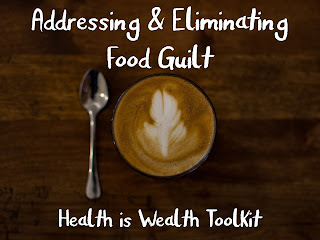 And when you are watching your pennies or if you were raised in a "clean your plate" environment, it can be a very emotional experience to change your perspective and habits when dining out. Let me put this into perspective for you. A McDonald's Happy Meal with a cheeseburger, fries, and Sprite is: 640 calories, 24 grams of fat, 940 mg of salt, and 90 grams of carbohydrates. An adult Double Quarter Pounder with cheese, medium fries, and medium Coke: 1, 330 calories, 61 grams of fat, 1, 665 mg of salt, and 146 grams of carbohydrate. http://nutrition.mcdonalds.com/ The Happy Meal provides more than enough calories, salt, fat, and carbohydrates in a meal that there is no, I mean NO reason why anyone needs to order off of the adult meal at McDonald's. This portion distortion does not just apply to fast foods and restaurant foods. Fruits and vegetables are being manufactured to be a "beautiful, perfect product" (noo!). In return, we are often provided options in grocery stores that give us twice the serving as well.